“Because I am talking to animals, the more you talk to them, the more you can’t eat them,” said Rosina. She told me a story of one of her young female students. The girl was standing in front of a fish tank outside a restaurant and was talking with a fish. They became friends. She then entered the restaurant and when the meals were served, she realised that the fish lying on the plate was her newly made friend. Her fish friend’s sudden death and becoming human food made this little girl feel so shocked and sad for a long time. In Rosina’s Mid- Level’s office, I was very curious to ask what her faith is. She said her grandfather was an Italian who immigrated to England, where she was born, and she has been a Catholic since childhood. Within the catholic faith, St Francis, some 800 years ago, is considered by many to have been an animal communicator. The stories of St Francis tell of him preaching to birds, making a pact with a wolf, and rescuing and healing injured animals. About 30 years ago, Rosina came to Hong Kong and came in contact with Asian culture for the first time. She likes Quan Yin Bodhisattva (Avalokiteśvara) very much. She describes her faith as “fusion”. She has been to MountPutuo, and she goes to churches and temples. In Rosina’s eyes, the eastern Quan Yin Bodhisattva and the western Saint Francis are the representatives of great compassion and loving power, regardless of race and species. Rosina’s husband is a veterinary surgeon. I asked Rosina how her scientific and logical minded husband views her telepathic communication. Rosina said that although he is a very academic person, he is also very open-minded. Being a doctor for so many years, he has seen a lot of medical miracles. He knows there are some things in the world which scientific theory cannot yet explain. 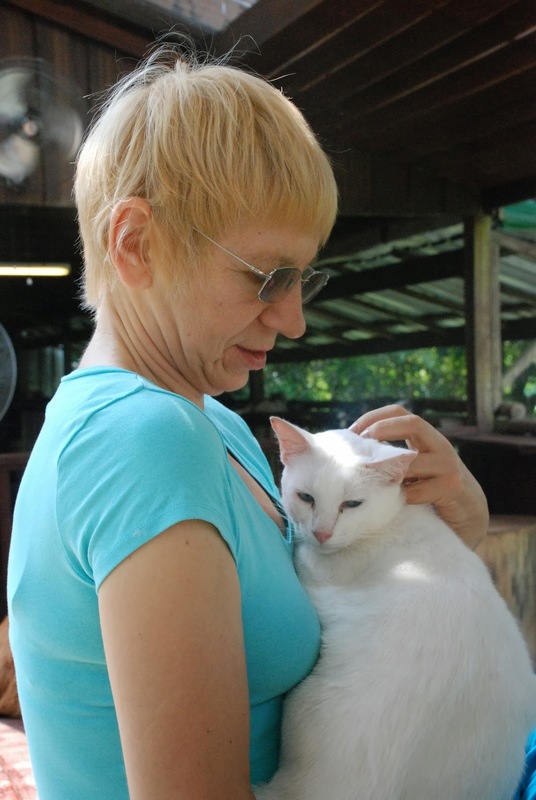 Because her husband is a vet, Rosina can interact with many different kinds of animals. In some special cases, she may communicate with sick animals to help a vet get more information to find the proper treatment. She added that scientists are studying the ways in which animals communicate, but these are still early days in such studies, with so many different species of animals to try to understand. But she is also very optimistic to say that science is progressing, and our learning continues. She said that if 50 years ago she had told her grandmother about the iPhone, she might have been regarded as ridiculous. But now even children may feel the iPhone is a very common everyday item. ent to visit his home. Her future husband had a cat and the cat knew that Rosina could talk with her. While he was away for a moment, the cat argued with Rosina and talked to Rosina about him. Later, her husband-to-be came back and she told him what had happened. He wondered why his cat knew so much about him!